All the ?stuff? that surrounds us has a life cycle: materials are harvested, the stuff is made and distributed, it's consumed and then it gets trashed or recycled. 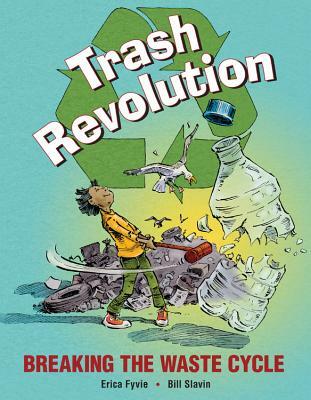 Using the typical contents of a child's school backpack (defined as water, food, clothing, paper, plastic, metals, electronics), this book explores those stages in detail, including lots of ways to reduce, reuse or recycle waste along the way. Children will gain new insight into the routine decisions they make about their own consuming and trashing or recycling practices. For example: How long does it take for a cotton T-shirt to decompose in a landfill? Can a bike helmet be made from recyclable materials? Which is better for the Earth, wrapping a sandwich in aluminum foil or plastic? By learning to use critical thinking skills to make informed choices, children will feel empowered by the important, constructive role they can play in the future health of the planet. Author Erica Fyvie has found a way to use everyday objects to speak directly to children's curiosity and their desire to make a difference. With infographics, short subsections, sidebars and charts, the information presented is engaging and accessible. Playful illustrations by award-winning illustrator Bill Slavin help make complex subjects easier to understand, while keeping the tone friendly. From energy to climate, innovations to sustainability, this all-encompassing look at a timely topic is the perfect go-to resource for elementary science and social studies classrooms. Includes a glossary, resources, bibliography and index. Erica Fyvie has worked as an academic editor and writer, and has written for magazines and blogs. Breaking the Waste Cycle is her first book for children. She lives in Toronto, Ontario.